The last time I spent this much time flying in Southeast Asia, I was still a student. Living on a student budget isn’t easy for a traveler so budget airlines were my best friends! AirAsia was typically my go-to option, especially for short flights (2hours or less). Official website can be found here. Cebu Pacific offers different tiers of fares, as with most airlines. You could get the FLY option, the FLY + BAG, or the FLY + BAG + MEAL. Those names speak for themselves. The checked baggage allowance is 20kg – less than the 25kg we are allowed as international travellers. For those who overpack, this is a nightmare! Check out some of my packing tips to help you not fall into this trap! If you do go over the weight restriction, I believe you can pre-purchase at a rate of pesos/kg. Purchasing ahead of time saves you money and time at the counter. I personally would purchase the tier with a meal for a short flight as there are many options for snacks in the terminal. We boarded the colourful plane and settled into the seats. I was expecting smaller seats for the price we paid, so I was impressed at how roomy it was. Midway through the short flight, the flight attendants set themselves up to play a game! They did an internet abbreviations game, and passengers won prizes for answering correctly. 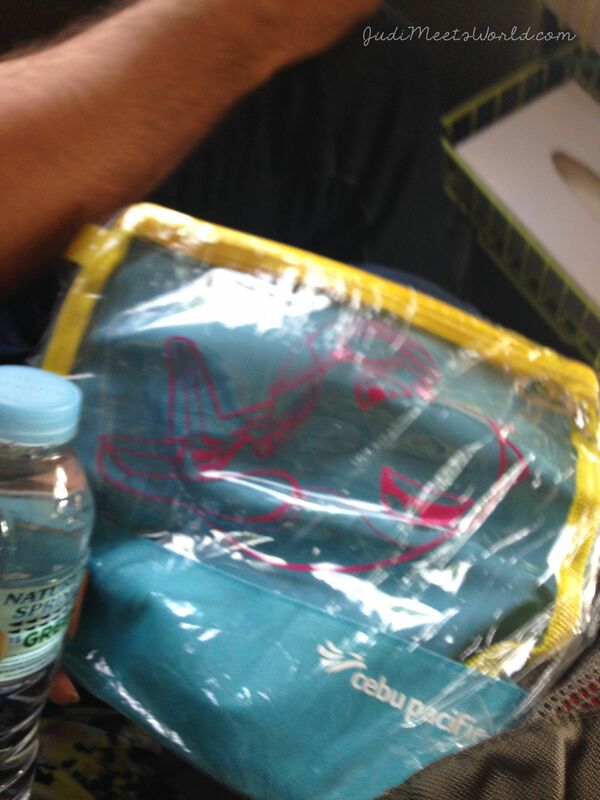 You better believe I walked away with a Cebu Pacific toiletry bag. Evidently, it pays to know what #ootd stood for. We had to deplane on the tarmac since the airport is a small building. Gave us a chance to take a look at the plane – get ready for the sea of selfies! The airport in Puerto was simple but, as long as you took initiative to ask for help, people were willing to point you in the right direction. Malaria risks aside, I’d certainly return in the future, and would definitely fly with Cebu Pacific again. 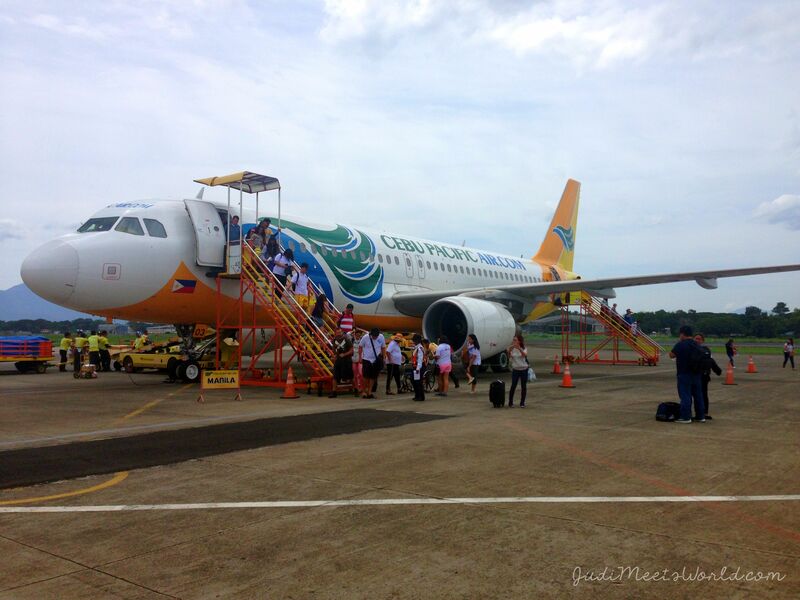 Have you flown with Cebu Pacific? How was it for you? What other budget airlines would you recommend for me to try in the future?